And there I was. Standing in the middle of the meadow before the sun was to rise. The sky was covered in clouds, with just a little bit of clearing where perhaps the sun would reflect its warming rays upon. The birds were chirping and singing in the meadow, hidden by the brambles and the slowly waning darkness. 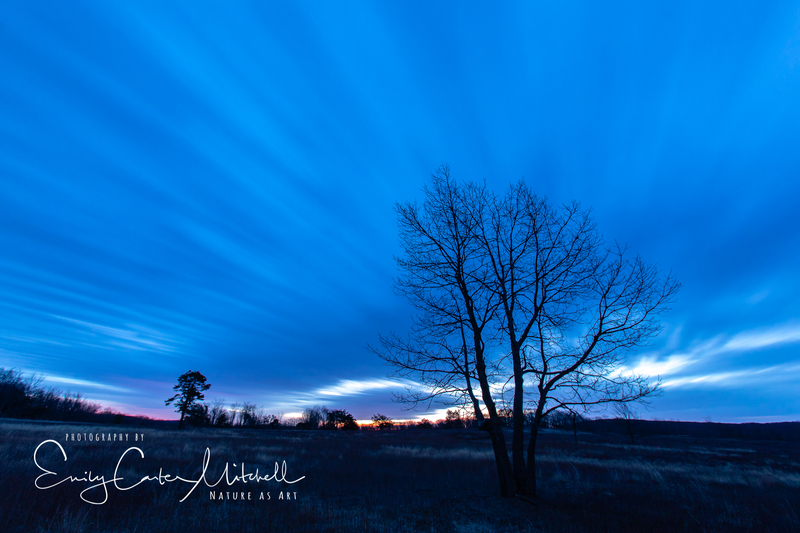 A long exposure helped to blur the cloud movement with the tree standing stalwart against the landscape. But it was not all that I would see before the sun was to appear. 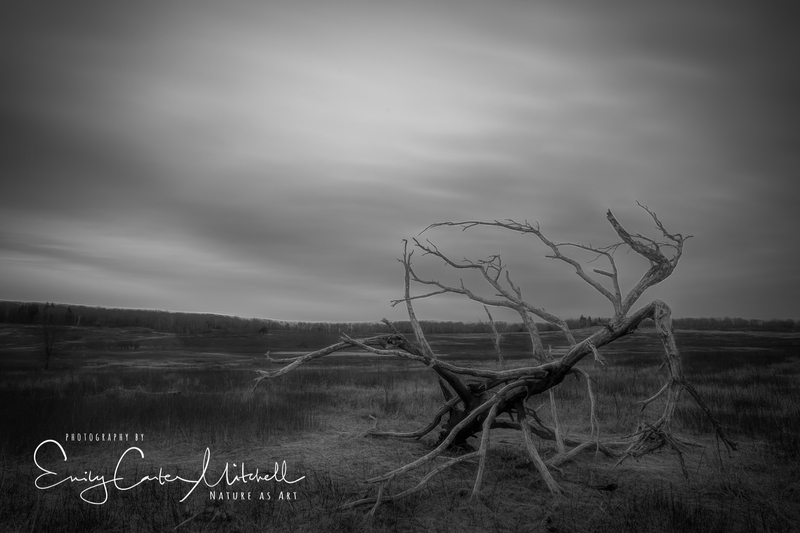 A tree skeleton, perhaps one of the most photographed ones in the meadow lay strewn upon the land. It was only then that I began to see the color begin to emerge with the promise of a new day. Rushing back to the car to chase the light I found the overlook for Old Rag Mountain. This Mountain and I are old friends. It has challenged me to climb it for several years and each time that I made the boulder scramble climb was a joyous occasion. Granted a air-sucking, quad killing possible ankle twisting climb but the views are always so worth it. I could see in the darkness a pair of silhouettes. Silent in the early morn. If it wasn’t for them grazing along, I wouldn’t have seen them. During the winter months, the deer reclaim the park from the masses of leaf-peeping, nature hunting, hikers, travelers and tourists. 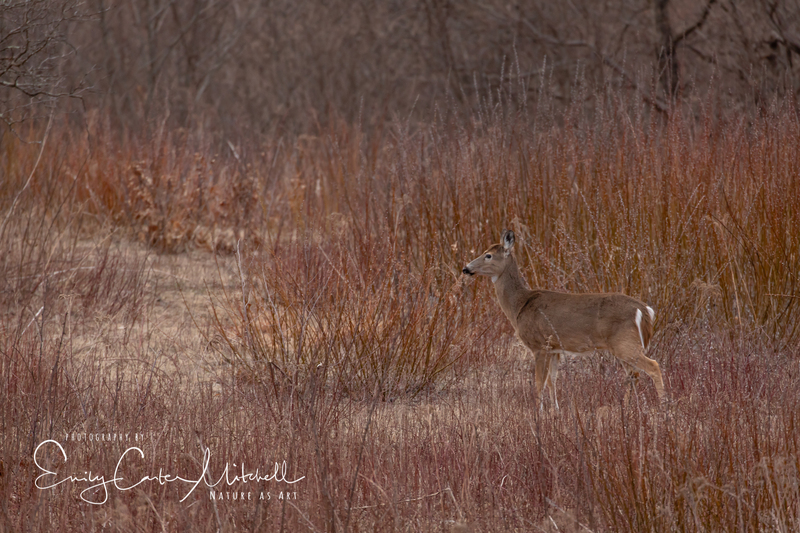 The deer were plentiful along Skyline Drive and accustom to visitors in cars, many a time I’d have to stop and wait for them to cross the road. Ambling along as if they owned the road. And yes, indeed they do. The meadow was silent and perhaps the only time I’ve had the meadow to myself. The red brambles along the winter grasses was filled with textures and patterns. 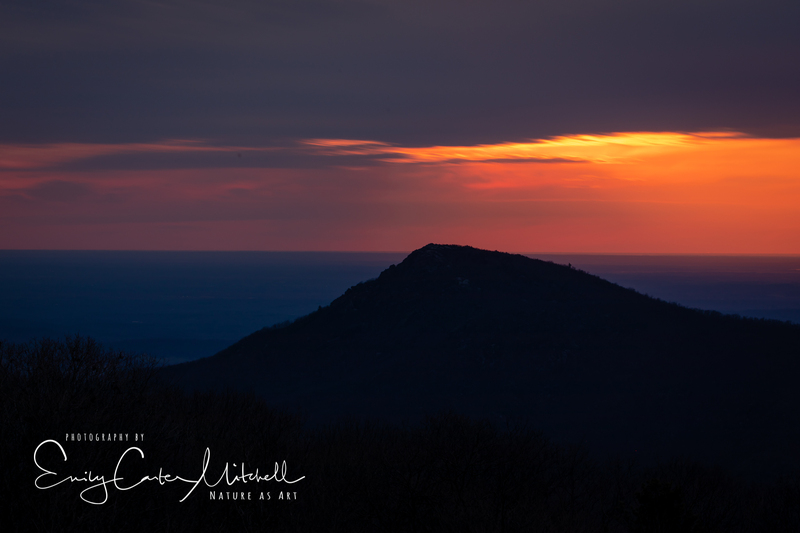 Winter coming into spring is a beautiful and peaceful time to visit Shenandoah National Park. A time when the world is quiet, serene and as it should be with Mother Nature at the forefront. I love Shenandoah National Park. Many great memories! Thank you Marland. Shenandoah is truly a special place. That last photo is superb, Emily. 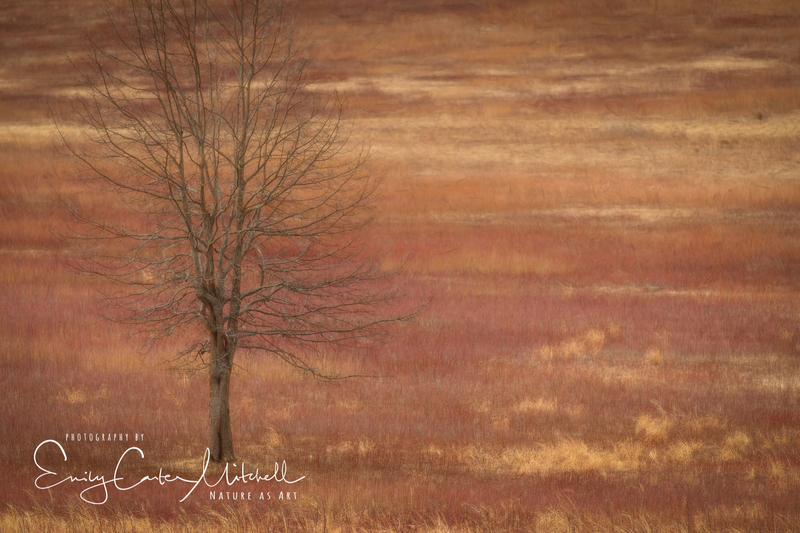 I love the soft colors and the solitary tree, so peaceful! I agree. It is a personal favorite as well Eliza. Thank you. Thank you for taking me on a beautiful journey with your pictures. Skyline drive has always been one of my favorite places & I haven’t been in years. I truly enjoyed this journey as I rest recovering with ice after 3 procedures Thursday & yesterday. I’m hoping that the most recent procedures help you be well on the mend for the future. It is always my pleasure to share our nature world with you as I know how much you love it. Wishing you all the best in your recover Laurie.